When Do Permanent Teeth Come In? 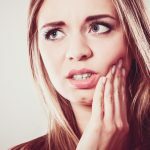 Home / Articles / When Do Permanent Teeth Come In? Along with unconditional love and endless snuggles, babies come with a lot of responsibilities. One of those responsibilities is taking care of your children’s teeth, which begin to emerge around six months of age (although some get their first tooth much earlier or later). These teeth, called primary teeth or baby teeth (or deciduous teeth for professionals) help the baby experience new foods and will aid them at meal times until they are older. Eventually, children lose their primary teeth and grow permanent teeth or adult teeth that they will have for the rest of their life. As a parent, it is important that you teach your children a great dental hygiene routine and the importance of caring for their teeth to equip them with the skills they need to care for their lifelong set of permanent teeth. Whether you are just seeing your baby’s first tooth or are noticing a wiggly primary tooth in your young child, it is important to know what to expect in the growth of your kid’s permanent teeth. This will help you prepare to take great care of their pearly whites. Children typically begin to lose their primary teeth between 5–7 years of age but younger or older is not unheard of. You child loses primary teeth as the permanent teeth underneath begin to push out. Many dentists suggest that if your child has not lost their first tooth by the age of 7, you should have some oral x-rays done to ensure that growth is normal and there are no extra teeth blocking the permanent teeth from growing in. Typically, primary teeth fall out in a particular order, beginning with the center two on the bottom, followed by the center two on the top. Then, the two teeth on either side of the bottom jaw followed by the two on either side of the top jaw will follow suit. On average, a child has lost all eight of these teeth by age 8. If your child is a little early or late, no worries! Your dentist will be able to determine that everything is moving around okay. The molars may not begin to loosen until your child is 10 or 12. Some dentists even suggest that children who begin to teeth earlier will also lose their first tooth earlier than others. 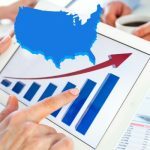 In fact, other professionals suggest that tooth loss patterns can be hereditary, meaning that if the parent lost teeth earlier, the child may as well. You or your child may be tempted to pull loose teeth but many dentists suggest, you leave them be and let nature take its course. Pulling teeth before they are ready is not only potentially very painful, but could cause damage to the nerves and tissue surrounding the tooth, which could call for extensive dental procedures to repair. 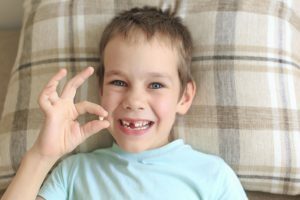 In the event that a loose tooth is really causing your child a lot of pain, visit your dentist to determine the cause and see if the tooth should be extracted. Typically, loose teeth are not incredibly painful. As teeth grow your child’s skeleton (specifically the jaw) is also changing. 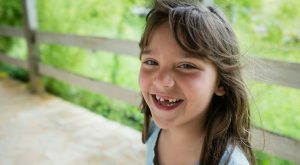 Because this happens differently and at different rates for every child, it is impossible to determine how long it will take your child’s permanent teeth to fill the gap where a primary tooth was once planted. In fact, permanent teeth can surface and grow in fully in as little as a week or they may take as long as six months. There is no need to be concerned if a new tooth does not surface right away. If it has been more than a few months and there are no signs of a new tooth surfacing, you may want to take your child to visit your dentist for a checkup. 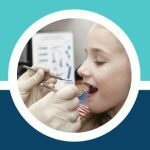 Your child’s permanent teeth should be cared for in a similar manner to the way you cared for their primary teeth or the way you care for your teeth. Most dentists recommend brushing your teeth with a fluoride toothpaste after meals, at least twice a day, and rinsing and flossing regularly. Non-fluoride toothpaste should be used for younger children until they are old enough to spit out excess toothpaste and not swallow the fluoride. Because they are only temporary, primary teeth are often mistaken for unimportant. In fact, some parents make the mistake of waiting on permanent teeth to grow in before beginning a proper oral hygiene routine. However, there are several reasons why caring for your child’s primary teeth is equally as important as caring for their permanent set. First, you should consider that you set the basis for your child’s oral hygiene routine for the rest of their lives. Many studies show that basic skills, such as hygiene routines, are set between the ages of 2–10 years old. This means that, for the bulk of your children’s most impressionable years, they have primary teeth. A second reason to take good care of your children’s primary teeth is that they are still susceptible to cavities. In severe cases, these cavities can cause nerve exposure, tooth sensitivity, and ultimately cause your child a lot of pain. Plus, cavities are caused by bacteria growing on the teeth. These bacteria can stay in the mouth, spread to other primary teeth, and eventually spread to the permanent teeth. In rare, but serious cases, children can have cavities in their permanent teeth by the time they fully emerge. Third, poor oral hygiene is linked to some other illnesses and can cause your child to be sick often. 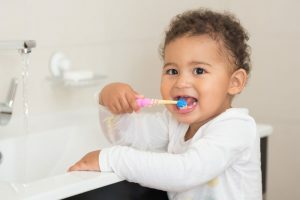 For these reasons, it is important to begin a regular, healthy oral hygiene routine as soon as your child’s first tooth emerges. Talk to your family dentist about how you should be caring for your child’s teeth. 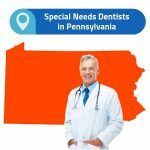 Most dentists recommend that a child has their first oral checkup after their first tooth emerges or shortly after their first birthday, whichever is soonest.